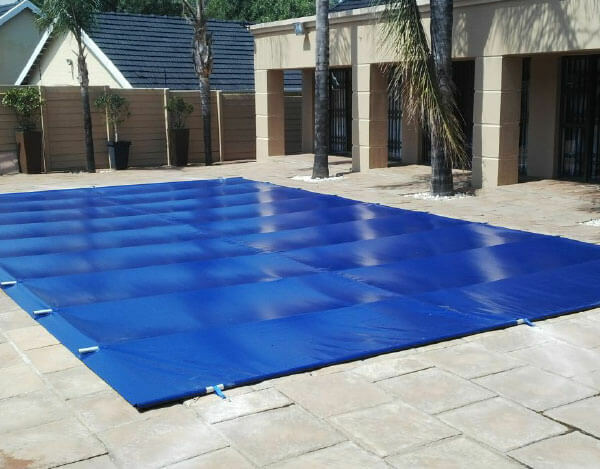 The Solid Safety Cover is a lightweight multi-functional pool cover that provides a range of solutions. 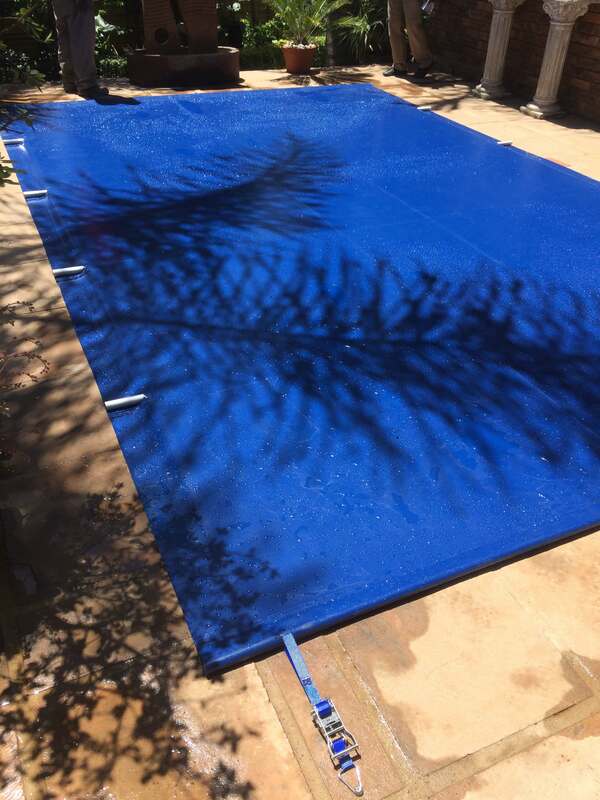 A means to secure the pool, keep it clean and free of leaves and debris, stop water evaporation and reduce chemical use and this while being simple and easy to fit and remove. 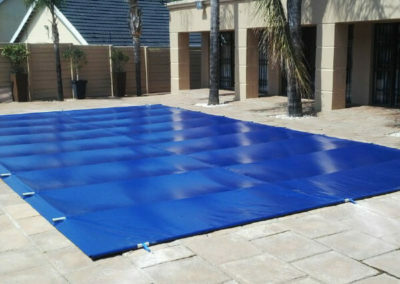 The Solid Safety Cover is an attractive pool cover solution, all backed by a no nonsense 1 year guarantee. 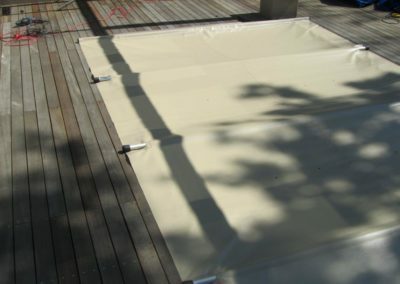 Simplicity of design and ease of use: supported across the pool by aluminum battens that are secured onto the PVC cover. One end is anchored into place with removable anchor bolts in three places only. The opposite end has corresponding ratchets which allows the cover to be tensioned across the pool. 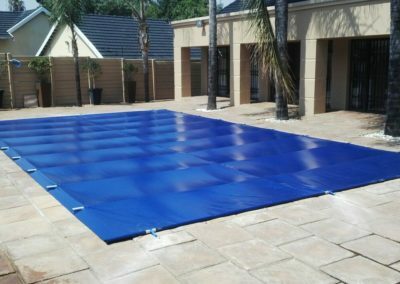 Durable: made from either 550-600 gsm PVC material or 95% shade netting, aluminum battens and industrial strength stainless steel ratchets. Bears the weight of two adults and a child. No cumbersome hooks and eyelets – ease of use. Preferably requires two adults to fit & remove the cover. 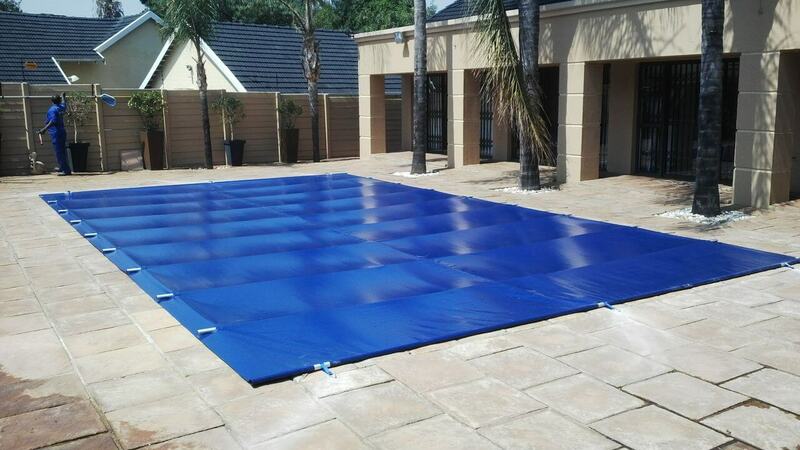 FYI – An average 40m2 pool can lose over 4,000 liters of water a month due to evaporation. 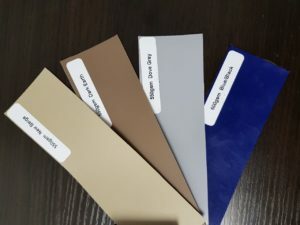 Available in blue, black, grey and beige. *Colours may change and/or vary from actual product. The Anchor Bolt is secured into the coping/paving stone. The screw is then fitted (screwed) into the anchor bolt. At the opposite end of the pool the ratchet system is put in place. This is secured on the anchor bolt. 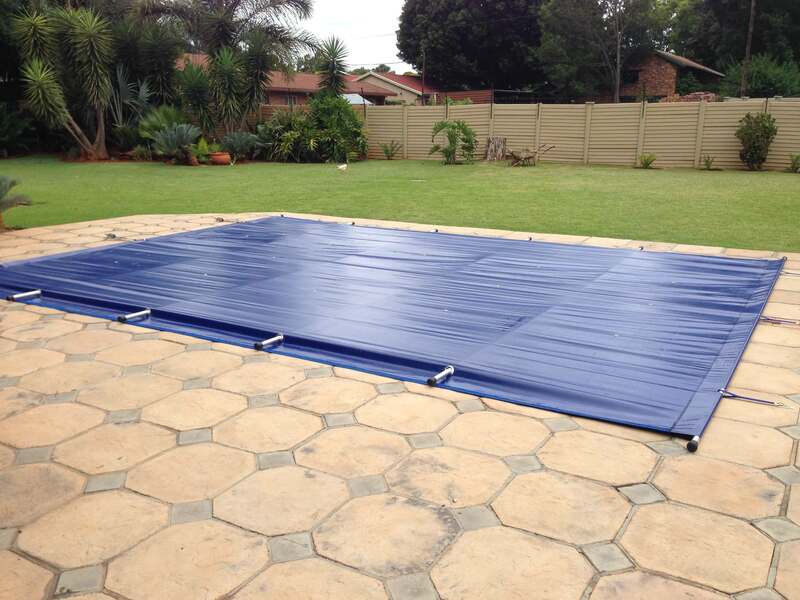 The Cover is then tightened over the pool. Lift lever on the ratchet (this releases the gear cog). While lifting the lever release the ratchet securing pin away from the cog and pull the ratchet so that the webbing pulls through the ratchet. Loosen the cover further by lifting the triangular hook off the opposite end. Fold over by picking up the cover with two people one pole at a time. The cover then drags across the coping. 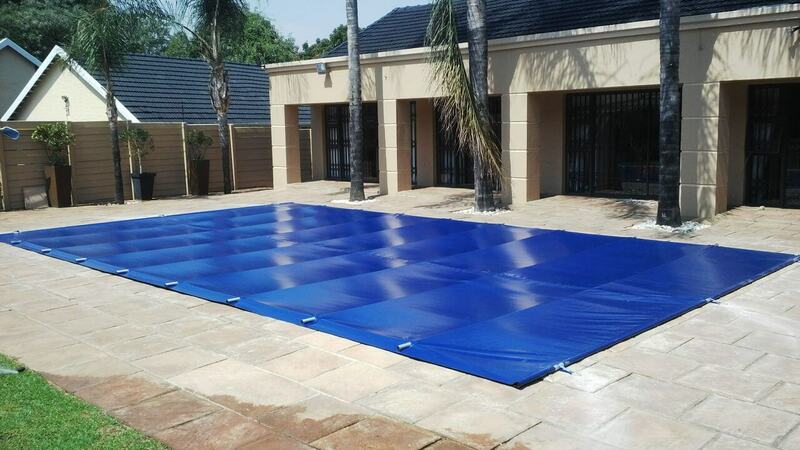 Correct storage of your cover when it is not on your pool will extend its lifespan. Store out of the sun when not in use. 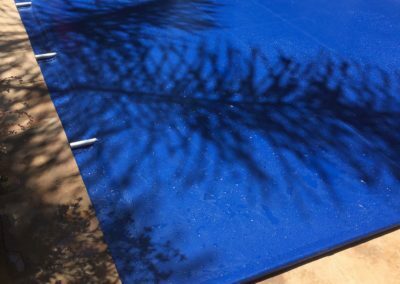 Sweep your cover with a broom or your pool brush once a week or whenever necessary, to remove excess water and leaves. 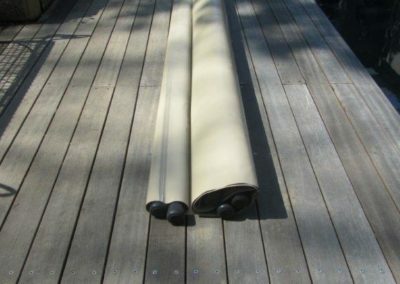 Don’t let dirt and/or gunk build up on the cover over long periods, as rotten garden debris could result in unsightly discolouration of the PVC material, especially on lighter coloured covers. 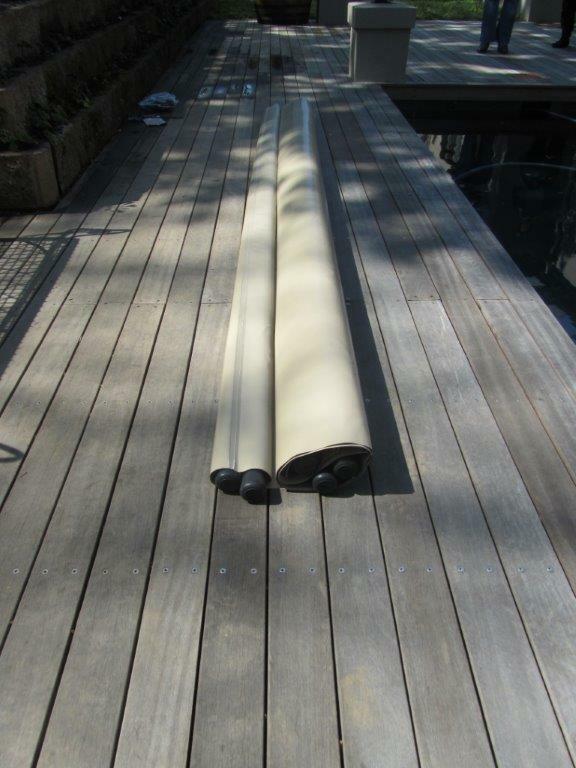 Replace the PVC components every four years. Requires two adults to fit & remove the cover. 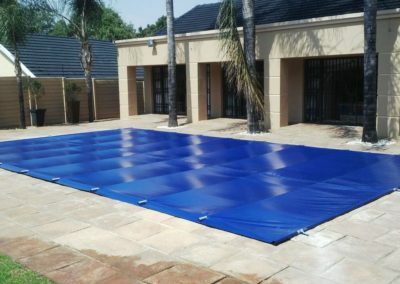 Drainage is critical to the efficiency of the Solid Safety Cover as small pools of water forming on top of the cover can pose a drowning risk to small children. Please ensure that the water level of your pool is not too high underneath the cover.